Le Pagode is an essay commissioned to accompany the exhibition 'that-which-is-not'by the artist collective Brass Art at the Sculpture Centre Bury Art Museum. Brass Art site a miniature C16th bone and ivory pagoda at the heart of their exhibition, as they revisit sites of significance in their collaborative practice. This is echoed in Kivland's essay, which revists an essay she wrote for the group in 2002. 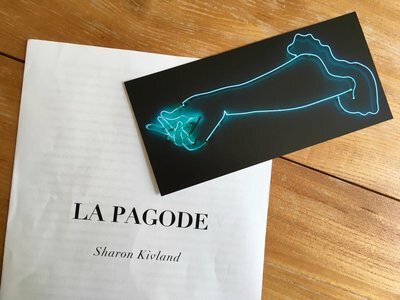 Writing then about the illusion of presence, her essay slips between the past and the present exhibition and Le Pagode, a cinema in rue Babylone in Paris,a nineteeth-century imagined replica of a baroque seventeenth-century Japanese pagoda.